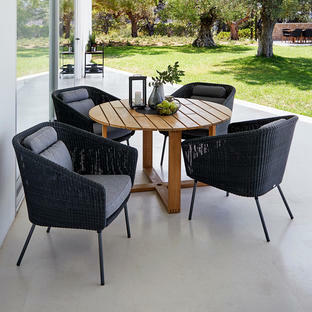 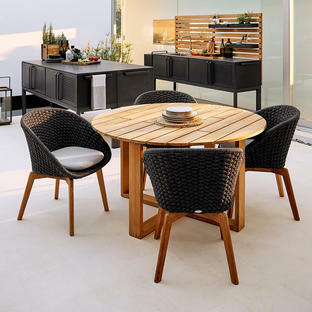 Move another indoor room into the garden, to extend the time spend with family and friends outdoors. 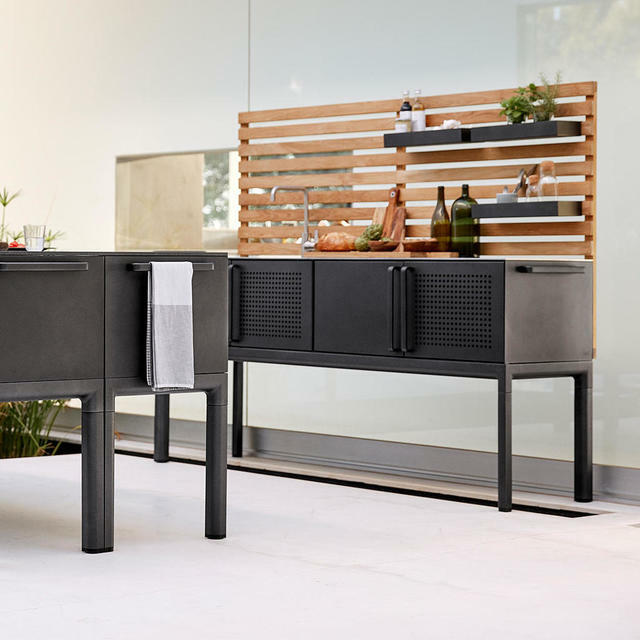 Drop Modular Kitchen is part of the Drop series by Cane-line. 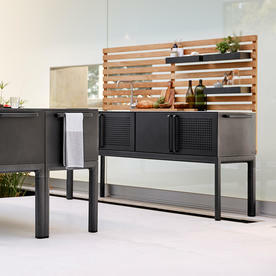 The collection includes this outdoor kitchen concept and coordinating outdoor tables. 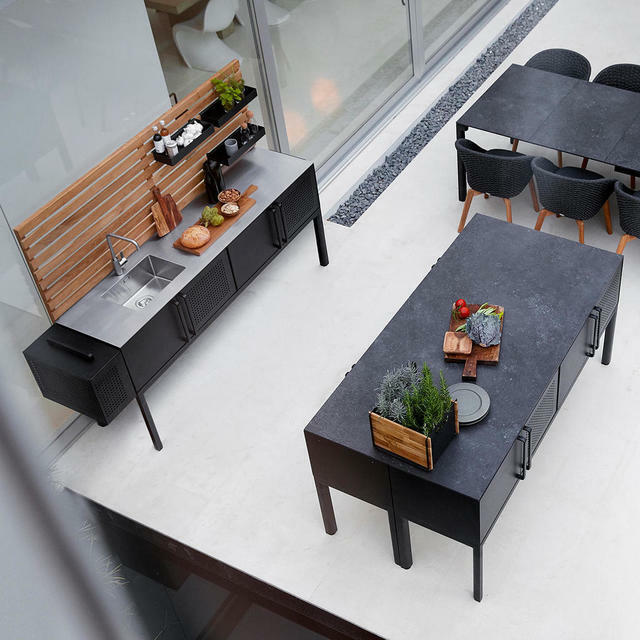 This impeccable outdoor kitchen, is stylish and practical, allowing friends and family to come together outside around an inviting eating and cooking area. 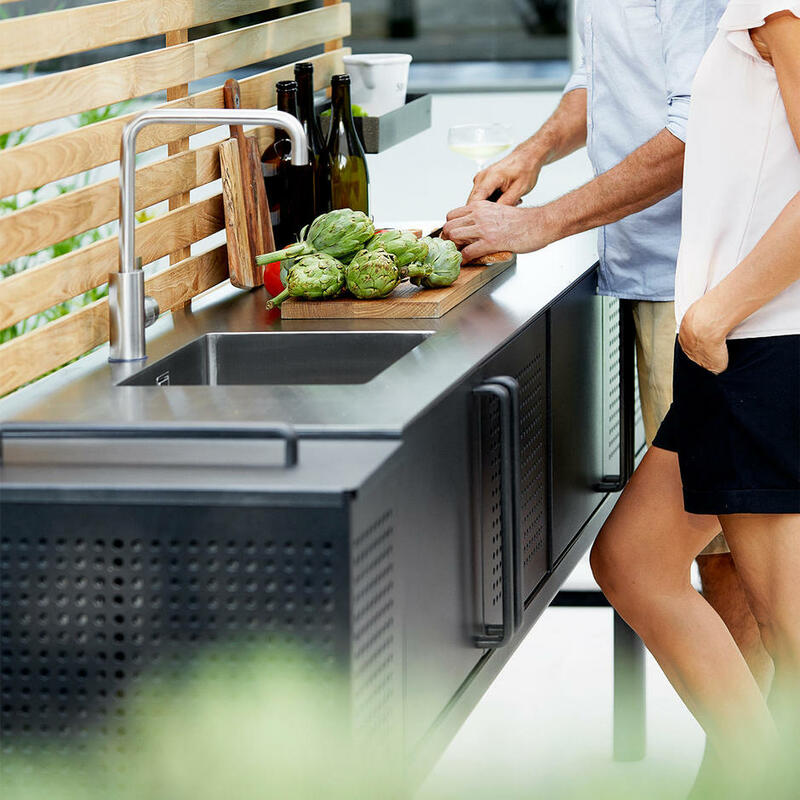 The kitchen unit is manufactured in powder-coated aluminium with a stainless steel work surface. 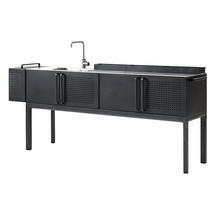 The module includes the sink unit and rubbish caddies and shelves. The large double cupboards have teak slatted bases. 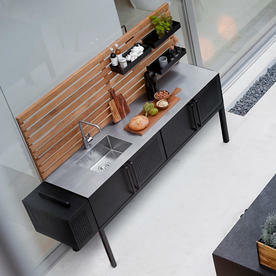 The 3 small shelves are designed to hang from the slatted teak unit, which can be purchased separately. 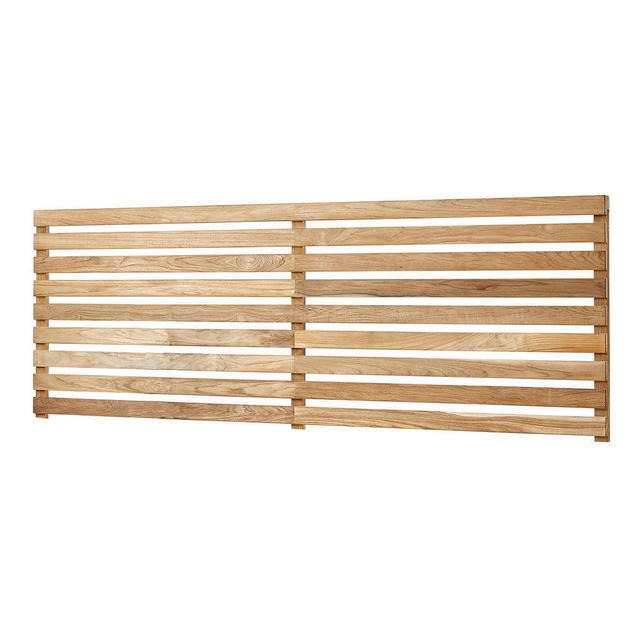 The slatted teak wall panel creates an ideal back drop to hold the 3 small shelves or to hang other hooks and holders on . 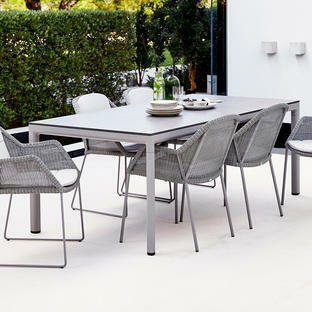 Made from powder-coated aluminium in Lava Grey, see here for information. 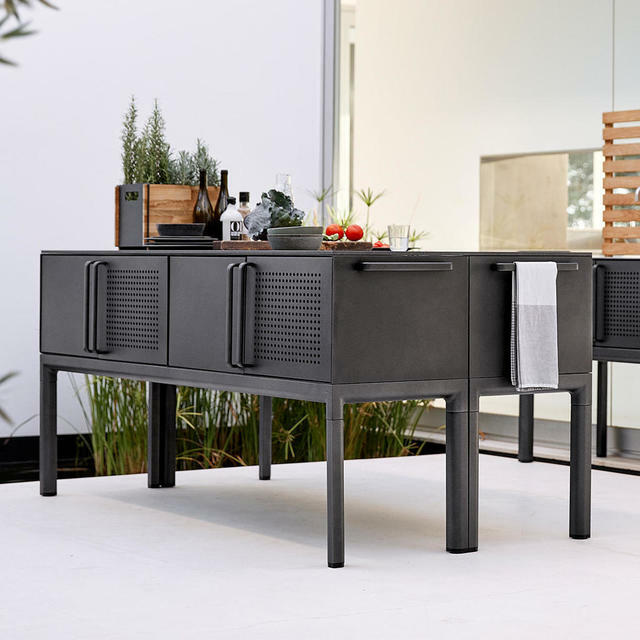 The Rubbish bin has 2 inner caddies inside the integrated rubbish box. 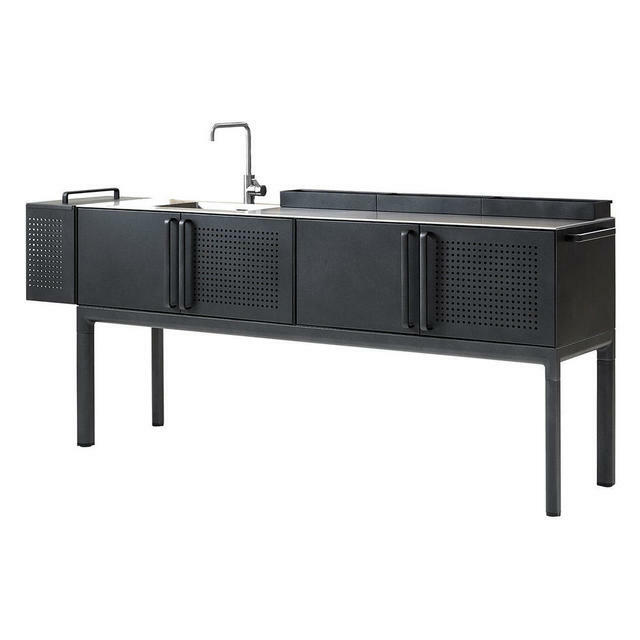 Work surface and sink are in stainless steel. 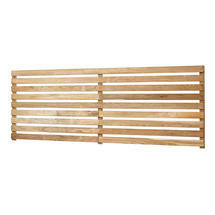 The Drop slatted wall is with certified Teak Wood, which is best left untreated.